Stay cool, and still look badass! 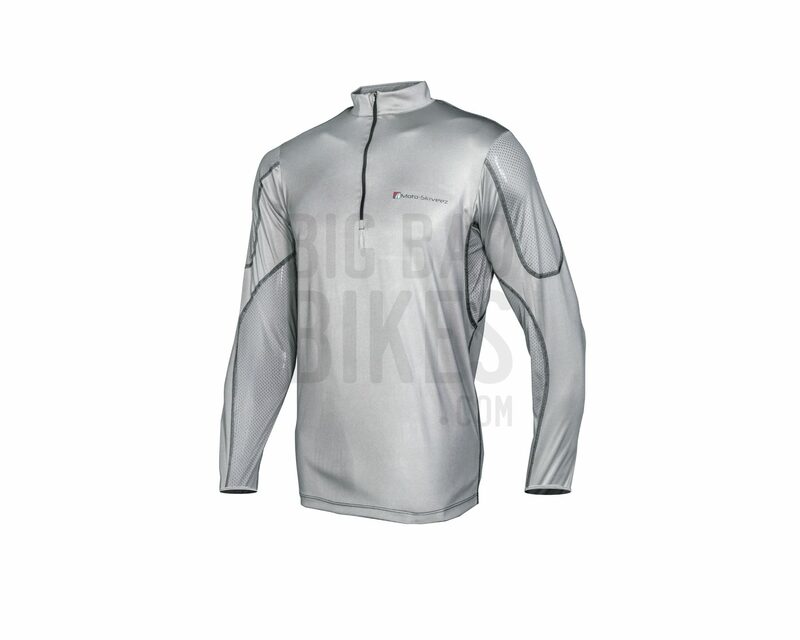 Moto-Skiveez’® Technical Riding Shirt is specifically designed to keep a rider cool and comfortable. 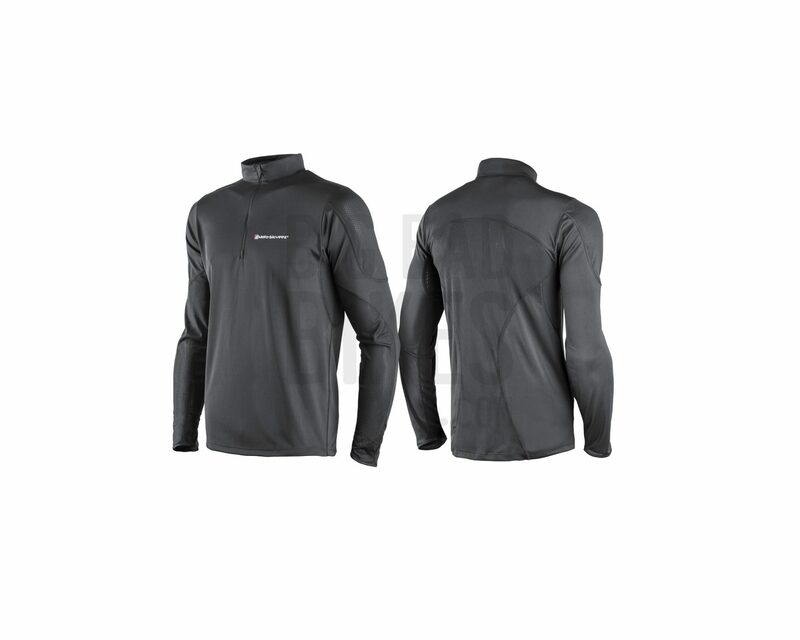 Our long sleeve design is intended to help prevent the natural oils and salts in perspiration from contaminating one’s riding jacket. 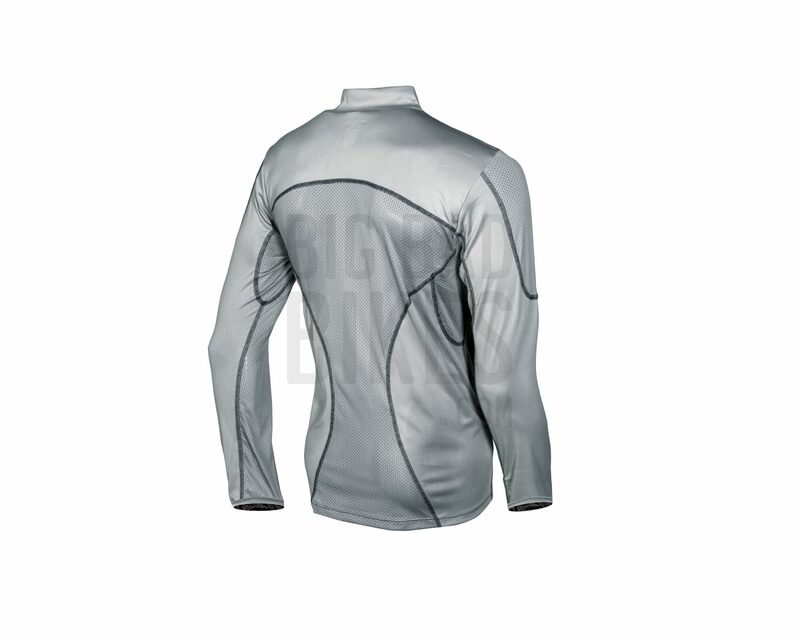 The main body of the shirt uses “Hydro-Sport” branded fabric. 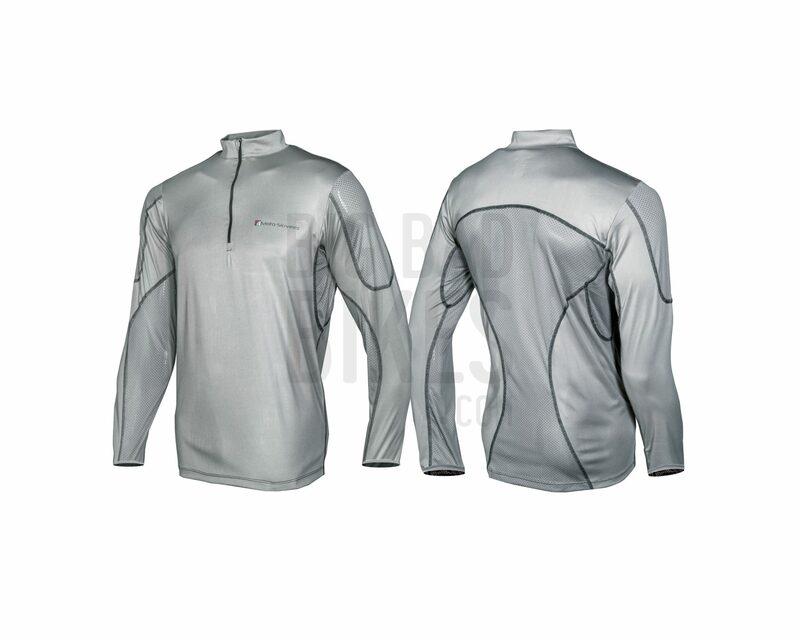 This fabric has very rapid, moisture wicking properties to accelerate evaporation. Evaporation=cooling. 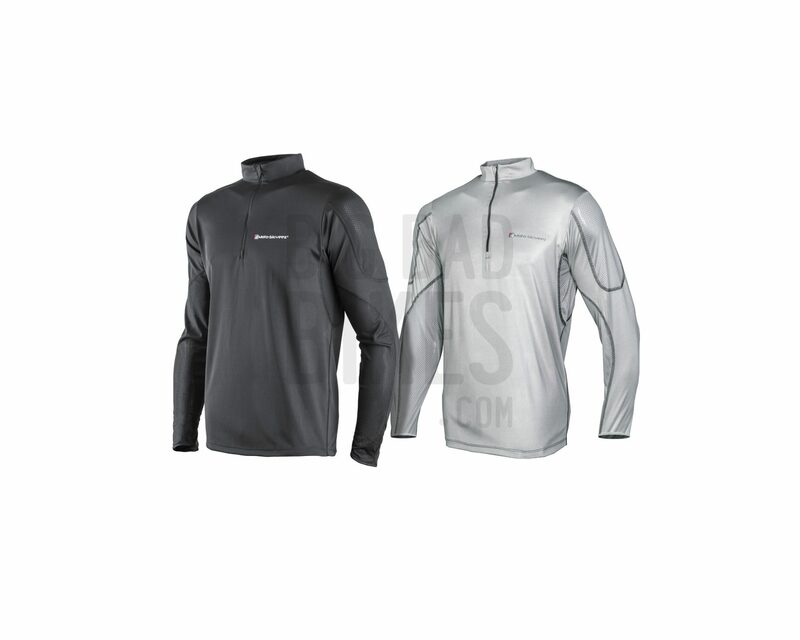 The secondary fabric is branded “5K.” Developed to be incredibly lightweight and breathable, this fabric is positioned to maximize air flow, which aids in moisture evaporation and cooling. 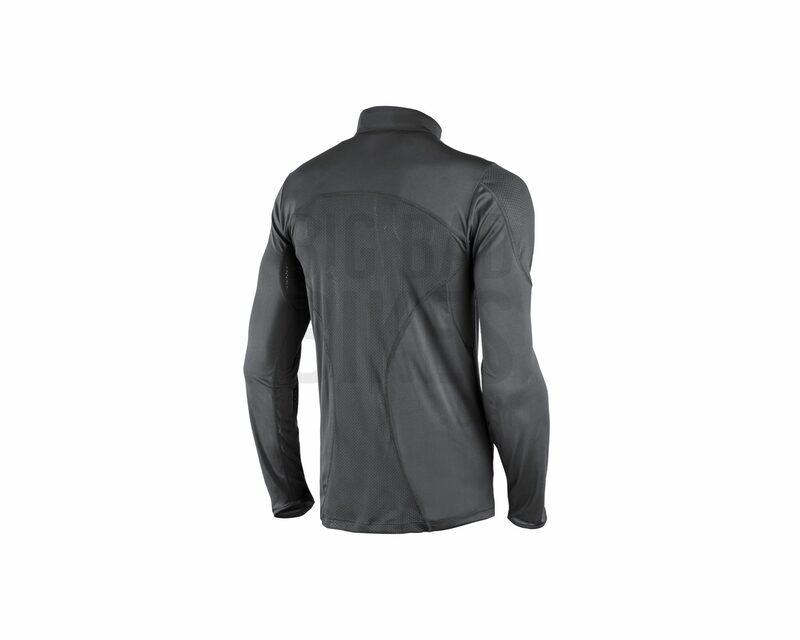 The 5K fabric is incredibly light weight and placed where a rider will experience maximum wind flow, along the forearms, the top of the shoulders and into the middle of the back. The sleeves are intentionally elongated. 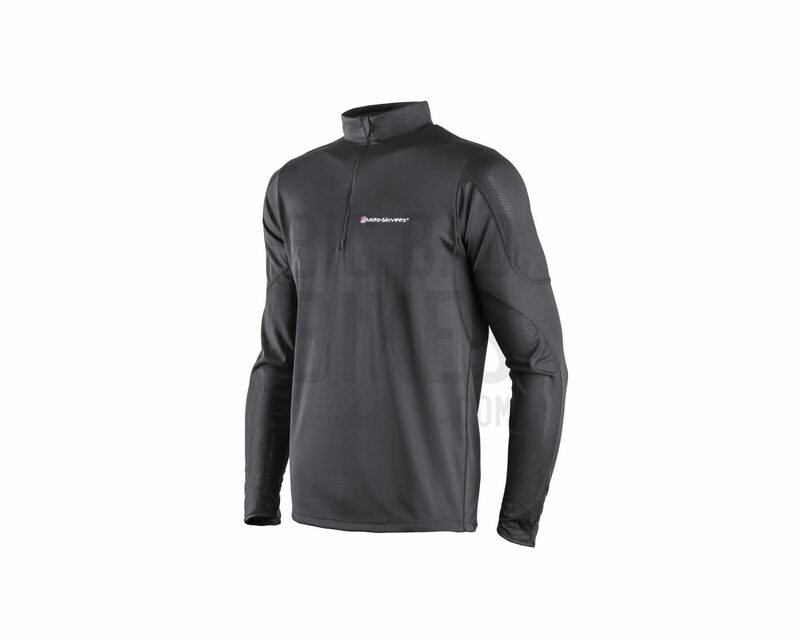 The outside of the sleeve is also longer than the inside to accommodate the curvature of the arm in an upright riding position. There is a thumb hole to prevent the sleeves sliding up while putting on a jacket. THE HOLE IS ONLY TO ASSIST IN PUTTING ON OUTER PROTECTIVE RIDING GEAR. THE SHIRT IS NOT INTENDED TO BE WORN WITH A THUMB IN THE HOLE.